Florida State senior Phil Cofer knows the biggest key to making any comeback, especially in the NCAA Tournament. 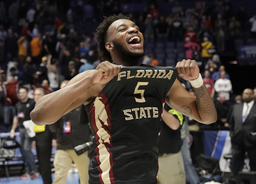 Now the Florida State Seminoles are on their way to the NCAA Tournament's round of 16 for the first time since 2011 after upsetting top-seeded Xavier with a furious rally. PJ Savoy made a 3- pointer with 1:08 left to give Florida State its first lead of the second half, and the Seminoles rallied from a 12-point deficit to beat the Musketeers 75-70 on Sunday night in the second round of the West Region. "Everybody kept their composure, and that's what you got to do in March Madness," Cofer said. "And I think we did it." The Seminoles did just that when trailing by 12 with 10:42 left and outscored Xavier 31-14 down the stretch, including the final seven points of the game. "We were much better than Xavier in the last two and a half minutes of the game," Florida State coach Leonard Hamilton said. "Sometimes when the games are close, that's all that's important." They made Xavier the second No. 1 seed ousted in tournament's first weekend, sending the Musketeers (29-6) out along with Virginia. It's a painful ending for a team that returned four starters from a team that lost in the Elite Eight last year - to Gonzaga, the team Florida State (22-11) will play Thursday night in Los Angeles. "Obviously, tough loss for our group," Xavier coach Chris Mack said . 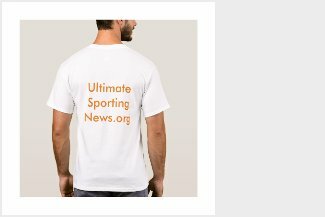 "Pretty emotional ending, the finality of what I think is the greatest sporting event in our country." Senior guard J.P. Macura said he felt this was the best team he's played on. "For us to lose this early, it just, it feels terrible," a quiet Macura said in the locker room. Savoy also hit a pair of free throws with 21.6 seconds left putting Florida State up 73-70. Kerem Kanter shot an air ball from beyond the arc at the top of the key with 7 seconds to go for Xavier, and CJ Walker added a pair of free throws with 6.4 seconds remaining. Terance Mann picked off a long pass by Paul Scruggs off Xavier's inbound pass before running in front of Seminoles' fans to start the party. After jumping around on the court and hugging, the jubilant Seminoles ran over to their fans in the stands and slapped high-fives. This was sweet payback for Florida State after then-No. 11 seed Xavier routed the Seminoles 91-66 a year ago in the very same round in the same region. Hamilton lost his top three scorers - two to the NBA Draft - from that team. "Definitely ... ," Cofer said. "I don't think anybody gets a chance to play them again two times in a year." The Musketeers didn't get the chance to run away this time around after they took a 12-point lead. They led 56-44 with 10:42 left. But Xavier didn't score a field goal after Kanter's jumper with 3:56 left for a 68-66 lead. Mfiondu Kabengele scored his second straight bucket tying it up at 68 with 2:32 to go. Scruggs hit two free throws with 1:49 left, and that was the last points for Xavier. The Musketeers turned it over three times after that, twice by star Trevon Bluiett. Braian Angola led five Seminoles in double figures with 16 points. Trent Forrest added 13, Savoy finished with 11, and Cofer and Mann each had 10. Macura led Xavier with 17 points, Kerem Kanter had 15 and Scruggs had 11. Florida State: This will be just the fifth Sweet 16 appearance for the Seminoles and second under Hamilton. ... The Seminoles had lost their first two games against No. 1 seeds in the NCAA Tournament, losing to Kentucky in 1980 and 1993. They also beat Xavier for the first time in three tries. Xavier: The Musketeers had been 23-1 when allowing less than 80 points. ... Macura fouled out with 2:06 to go, and Bluiett finished with just eight points and five turnovers. It was just his third game all season in single digits. Florida State: Gonzaga in Los Angeles. Xavier: Mack will have to replace Bluiett, Macura and Kanter. But Mack noted Xavier has graduated 105 seniors dating back to 1985-86 and will be back.